Add this chair to your living room and cozy up in your new favorite spot. 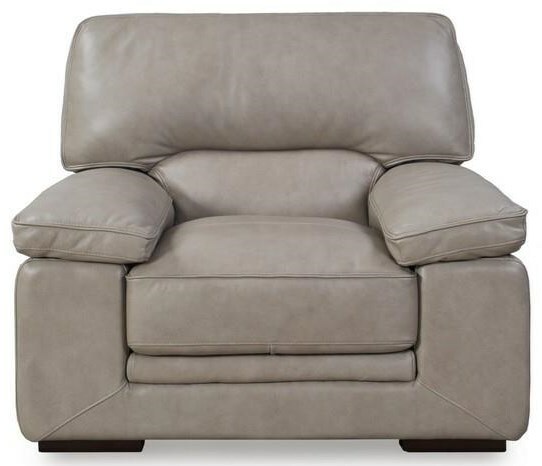 The chair has a plush design with padded pillow arms and thick seat and back cushions. Block feet add contemporary appeal, while contrast stitching provides a touch of refinement. The 10105 Chair with Pillow Arms by Futura Leather at Dunk & Bright Furniture in the Syracuse, Utica, Binghamton area. Product availability may vary. Contact us for the most current availability on this product.